150,00€ per week + delivery (Book 5 days and get the weekend for free). drop off and check availability. Currently we only operate in Valencia city centre. Deposit	150,00€ - Refundable once the scooter is returned. You must provide a valid postcode in the next page. Is it easy to drive the scooter? Our scooters are super easy to use. They fold and unfold with a remote control. You can control the speed easily with the control panel. The automatic brake is activated when the lever is released. 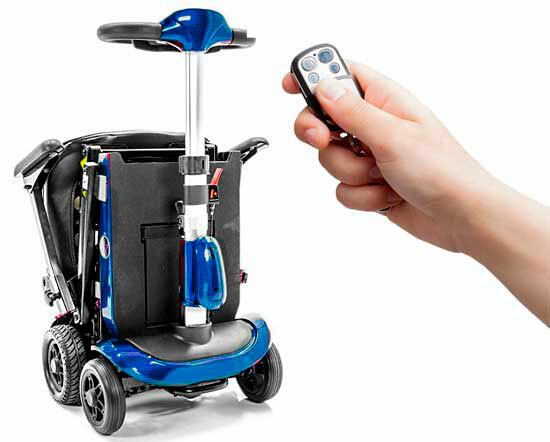 A simple instructions manual is provided with the scooter. Is it safe to ride the scooter? It’s perfectly safe. 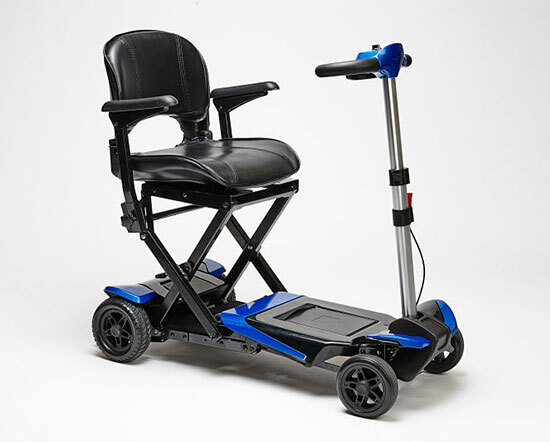 Our scooters are designed and approved for people with reduced mobility. Their speed does not exceed 6 km/h. The brake locks automatically when the lever is released. 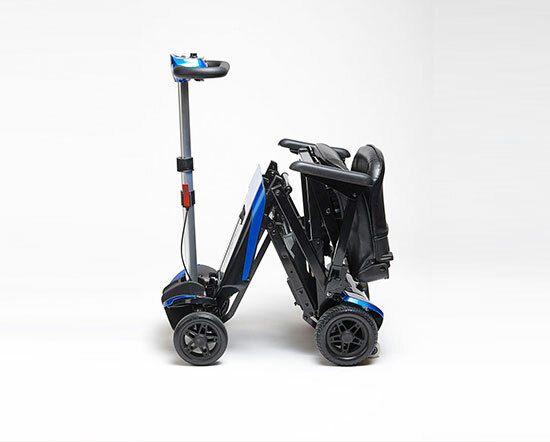 ​What is the autonomy of this scooter? How is the battery recharged? Our scooters have a maximum range of 12 km. The battery is recharged by plugging the provided charger to a home 220V socket. Can I access public premises riding the scooter? According to the traffic authorities, people with reduced mobility using wheelchairs and electric scooters are considered pedestrians. Will it fit in an elevator? No problem. If your elevator is small, the Transformer automatically folds to the size of a suitcase, 45x45x57 cm. Will the scooter fit in a trunk? Yes, our scooters fold easily and weigh only 25 kg. They can be dragged like a trolley case, or placed inside the trunk of a car. Where can I ride the scooter? Mobility scooters must travel on the sidewalk, just like pedestrians.